Attendees of the first LINC Engineering Network meeting. 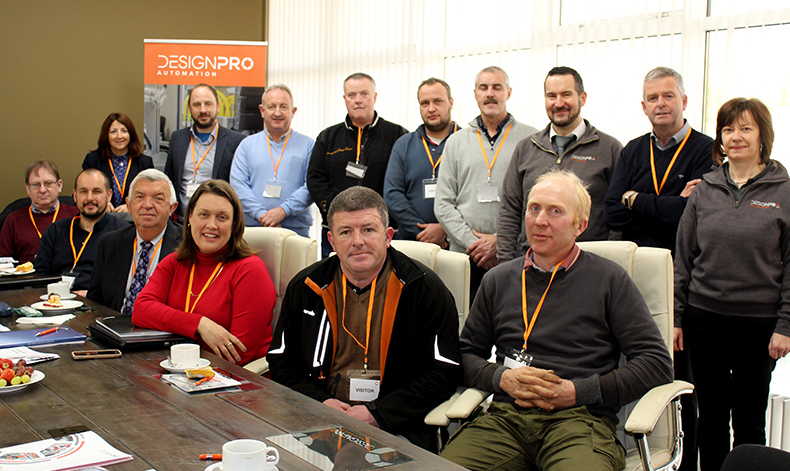 The recently launched Limerick, North Cork Engineering Network convened for their first official meeting on the 7th November here at our facility in Rathkeale, Co. Limerick. We were delighted to be the first member to host this newly formed initiative which saw 11 engineering companies from the Limerick and North Cork region in attendance. Theresa Mulvihill of the Limerick Enterprise Office headed up the meeting with attendees on the day from the following organisations; Pro-clad Insulation Ltd, Rohan Engineering, Donlouco, Tecoled Ltd, Lisnabrin Engineering, Unison Engineering Services Ltd, Munster Tool Co, McAdare Ltd, Barrett Engineering, Airmount Engineering Ltd. Also in attendance were Eamon Ryan and Joan Kelleher who represented the Local Enterprise Offices. The initiative was set up by Limerick Enterprise Office, Limerick City & County Council and Local Enterprise Office Cork North and West. The network aims to work with engineering firms in the region, to enhance the competitiveness of member companies and encourage innovation and continuous improvement. It will provide a platform to access knowledge, skills and information to encourage innovation and co-operation between member companies. Still in the very early stages of its development there were plenty of topics to be discussed such as strategies for promoting the network further and suggestions for potential project collaborations. Overall it was a very productive meeting with lots of positive input but top of the agenda on the day was the official naming of the initiative which we can now confirm is LINC Engineering Network. Its exciting times ahead for this project and we can’t wait to keep you updated on its progress. Watch this space!